The MLB trade deadline definitely lived up to the hype this year. While big-time players like Manny Machado and Cole Hamels were dealt several days before the trade deadline, the last 24 hours have been crazy. Teams were working on deals right up until 4:00 with a ton of established big leaguers switching teams. Let’s try to recap all the last-minute deals with 10 impact players who were traded on Tuesday. These two went to the same team, so they can share a spot. The Diamondbacks already had the best bullpen in the National League, and adding these two relievers will only make them better. Neither is necessarily a game-changer on their own. But with the likes of Brad Boxberger, Archie Bradley, Andrew Chafin, and Yoshihisa Hirano already in Arizona’s bullpen, the Diamondbacks have a bullpen that could dominate down the stretch and carry them to the postseason. Pham is not going to make a big impact for the Rays this season, but long-term, he’s a nice pickup. With Kevin Kiermaier and Mallex Smith also in Tampa’s outfield, the Rays are going to be great defensively in the years to come. That group should also provide a little bit of offensive pop too. Meanwhile, the Cardinals free up space for some of their young, promising outfield prospects. The Indians badly needed a center fielder amidst a slew of injuries, and they got a good one in Martin. He’s not a great offensive player, but he’s having a solid year. More importantly, he’s a top-notch defensive player, so the Indians will remain strong defensively up the middle. With Brandon Morrow on the DL, Chicago’s bullpen is in a state of flux. Kintzler gives them a trustworthy veteran who has a fair amount of experience as a closer. Having an extra arm in the back end of the bullpen never hurt anyone in October, so this was a nice pickup for the Cubs. The Pirates getting Kela was one of the more under-rated trades of the day. He has 24 saves in 25 chances for the Rangers this season. Now the Pirates get to move him to a setup role. Kela will be added to the contingent of Edgar Santana, Richard Rodriguez, and Kyle Crick who create the bridge to Felipe Vazquez, giving the Pirates a surprisingly formidable bullpen. The Braves already have a solid rotation, but Gausman gives them a little more depth. Gausman has experience pitching in a pennant race, which is not something that can be said for most of Atlanta’s roster. He’ll be key down the stretch, and with the Braves being a much better offensive team than the Orioles, he has a chance to win some games in Atlanta. Second base has been a problem area for the Dodgers all season, but Dozier should help them to solve that issue. 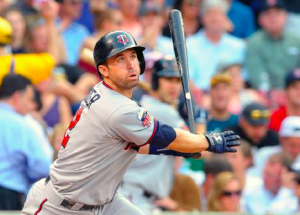 Dozier’s numbers are down drastically from the past couple years, as he’s hitting just .224. However, he still has plenty of pop. He’ll likely hit at the back end of the Los Angeles lineup, where his power will make him a dangerous hitter. Adding Mike Moustakas last week turned out to be just the beginning of Milwaukee’s infield revolution. Schoop has seen his production drop-off after he was an all-star in 2017. But he’s putting together a decent year with 17 home runs. He also provides a good balance for what is now a left-handed heavy lineup. The caveat for the Brewers is on defense, as Schoop will likely slide over to shortstop, a position he hasn’t played much in the majors. Meanwhile, Travis Shaw is now playing second base for the first time in his career, so clearly, infield defense has not been a priority in Milwaukee. Ramos is in the midst of a bounce-back season offensively, hitting .297 with an OPS of .834. He’s also a veteran catcher on a young team, so he provides value that goes beyond the field. This is a major pickup for the Phillies, who also added Asdrubal Cabrera before the deadline. Those two should give a serious boost to a previously mediocre offensive team. Lastly, the trade of the day was the one that sent Archer to Pittsburgh. The Pirates have caught fire lately, and adding Archer to an already solid rotation is a great way to keep up their momentum. There’s a lot of work left to do, but the Pirates are now a team that the Cubs and Brewers have to take seriously in the NL Central race.